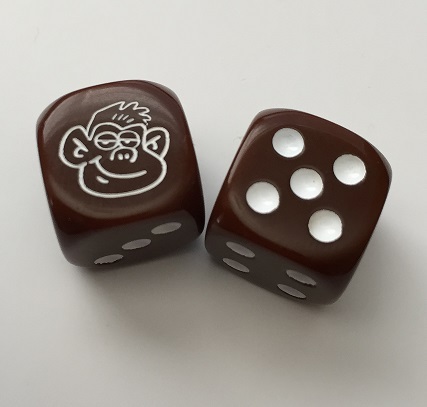 Custom Poo Brown 6-sided Monkey Dice (2 dice per order). 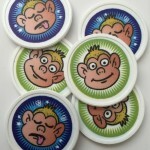 SKU: TGW101. Categories: Card Games, Dice, Games. 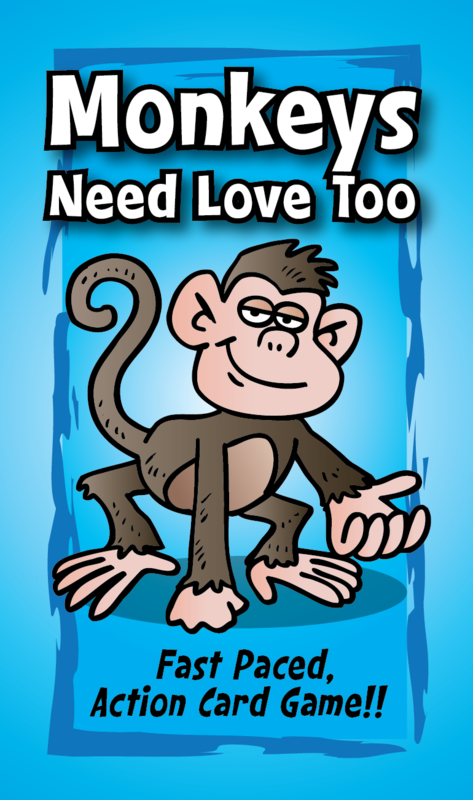 The game Monkeys Need Love Too comes packed with two custom banana yellow 6-sided monkey dice. 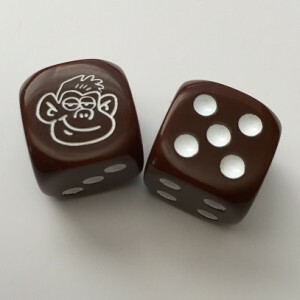 For those who want to change it up a bit, we’ve got some poo brown dice you can switch out when you need that special roll. Each order contains 2 dice packaged in a zip lock bag.